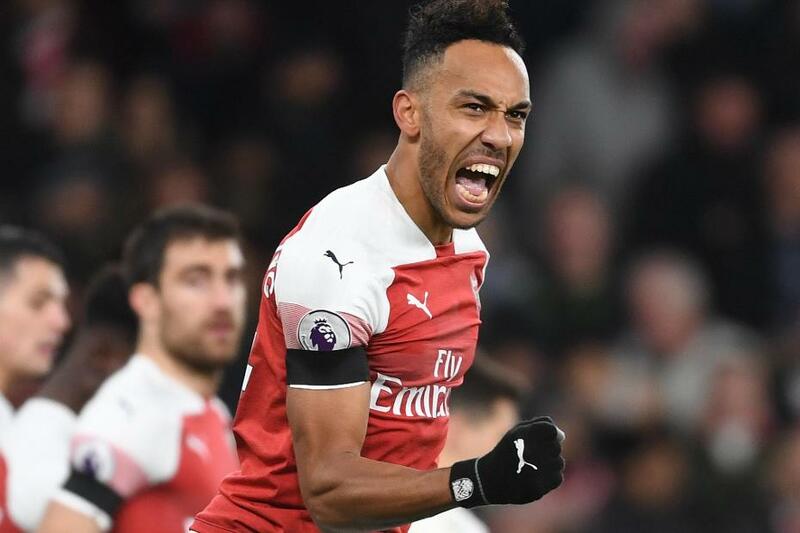 After a disappointing last few Gameweeks, the fixture list gives Pierre-Emerick Aubameyang the chance to extend his lead as the top-scoring forward in FPL. The Arsenal striker produced just one goal and one assist in his last four matches, but his upcoming schedule indicates he is primed for points once again. Four of Arsenal’s next five matches score just two in the FDR. The home match with Southampton, in Gameweek 27, will raise Aubameyang’s appeal as the go-to captain. Mohamed Salah (£13.6m) and Paul Pogba (£8.7m) go head-to-head at Old Trafford the same weekend. At the same time, Manchester City and Chelsea’s big hitters are without a Gameweek 27 fixture due to their progress to the EFL Cup final. Arsenal’s long-term schedule strengthens Aubameyang’s prospects. They face teams in the current top six in only three of their final 15 fixtures. Notably, Aubameyang has a prolific record against sides lower down the table this season. He has produced 13 of his 15 goals and four of his five assists against opponents outside the top six. Aubameyang's potential for big points hauls can make him a tempting alternative to Salah for the captaincy, particularly for those managers looking to chase down mini-league leads.